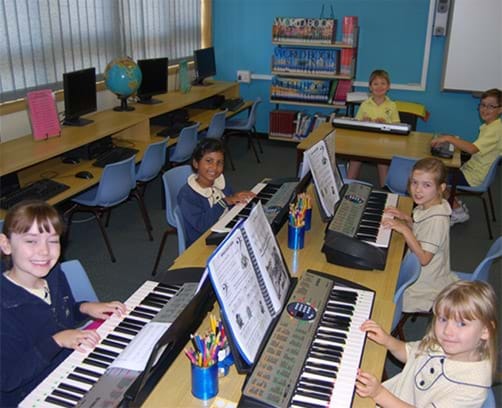 If you are interested in your child participating in our music keyboard or guitar lessons, please call our office on 9411 3122, or use the ‘Enrolment’ tab above. We probably offer lessons at your child’s school! If not, we are always happy to contact a new school and perhaps open a class in response to parent interest.